TWO huge derby dates in the north, another tasty cross-town encounter in the south, and an intriguing fixture in the Midlands between two of the surprise contenders for Champions League qualification. What more could you ask of a round of football? Here are our top picks and value bets for round 10 of the 2015-16 English Premier League, starting with Sunday’s blockbuster billing at Old Trafford. 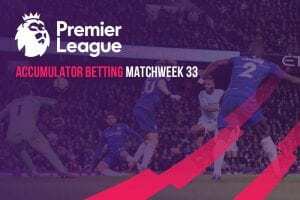 Even though Man City have scored 11 goals in two league games, won four of the last five derbies, and are two points clear atop the table, the leading EPL sportsbooks have them as slender outsiders for the weekend’s feature fixture in Greater Manchester. That might have something to do with the corresponding match last season, where United ran out 4-2 winners. But Manuel Pellegrini’s men are in electric touch in the league right now, although they may head to Old Trafford without Sergio Aguero, David Silva, Samir Nasri, Vincent Kompany and a host of other first-team players who are recovering from injury. The Red Devils bounced back from their Arsenal disaster with a 3-0 win away at Everton last week, but the worrying form of Wayne Rooney and Memphis Depay could leave star teenage striker Anthony Martial carrying a huge load against the league leaders. Whichever way you’re leaning, pick a decisive result – for in their last 24 meetings in all competitions, United (12 wins) and City (11 wins) have drawn just once. From one end of the table to the other, we now head to the North East where Sunderland will look to make it six Tyne-Wear derby wins in a row. Any kind of result this weekend would be a blessing for the Black Cats and their new manager, Sam Allardyce, who are rock bottom and on the fast track to relegation with no wins from the first nine rounds. Newcastle were in an almost identical position a week ago, but their stunning 6-2 victory over Norwich City – which featured four goals from the impressive Georginio Wijnaldum – has somewhat lifted what was a very bitter mood at St. James’ Park. The Magpies remain in the drop zone, however, and they haven’t beaten Sunderland since 2011 – so you can understand why the bookies might give the home side a slight edge here. We’re tentatively tipping a draw with each side getting on the score sheet. 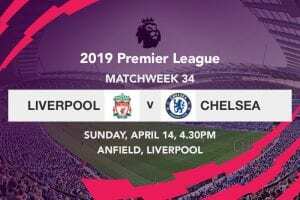 If this fixture had taken place in the first round, one suspects Chelsea would be at much shorter odds to win what has traditionally been one of the Premier League’s most lopsided rivalries. The Blues have won 15 of their last 18 EPL clashes with the Irons, losing just once in that period, but they will have scared off more than few punters due to a rocky start which has garnered just three wins in nine games (and ruined many a sure-fire multi in the process). They did manage a 2-0 win at home against Aston Villa last weekend, but Jose Mourinho’s side still looks nothing like the one which strolled to the 2014-15 Premier League title. West Ham, meanwhile, have been excellent value for their spot in the top four, scoring 20 goals in nine games while taking down the likes of Arsenal, Liverpool and Manchester City along the way. And even though Slaven Bilic’s Hammers have looked a bit loose at times on their own patch, we can’t help but back them to slay another giant (albeit a wounded one) at Green Street this Saturday. It would be a criminal understatement to say that Arsenal have had the better of Everton during their 20-odd years together in the English Premier League. The Gunners have lost to the Toffees only six times in all competitions since 1991, and only once in their last 16 league encounters. To make the task that little bit tougher for the visitors, Arsene Wenger’s men are in red-hot scoring form after netting 11 times in their previous three EPL games – six of those off the boot of the decidedly in-form Alexis Sanchez. Everton have shown glimpses of their best this season, and have managed handy draws away to Tottenham and Swansea, but they were thoroughly outgunned in last week’s 3-0 home loss to Man United. While Roberto Martinez’s side is more than capable getting a point at the Emirates, the smart money says Arsenal – who picked up a crucial win over Bayern Munich in the Champions League in midweek – will do enough to take home the chocolates. Our friends at Sportsbet.com are running a special money-back guarantee on all Premier League multi-bets featuring four legs or more. If your EPL soccer multi is made up of win-draw-win markets only and misses out by just one leg, Sportsbet will give you up to $100 cash back. If the first three legs salute but Arsenal fail to beat Everton, we would get our full $20 stake back – not as a bonus bet, but credited as real cash. To find out more, head over to www.Sportsbet.com – one of our most trusted EPL betting sites.